The Fantastic Fifties #3 Autumn Winter 2017 - from the UK! 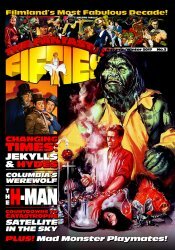 MyMovieMonsters.com > Monster Magazine Marketplace > Fantastic Fifties (UK) > The Fantastic Fifties #3 Autumn Winter 2017 - from the UK! Filmland's most fabulous decade! 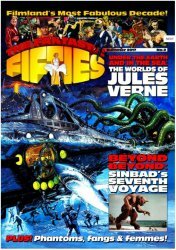 This is The Fantastic Fifties #3, the third issue in the exciting new fantasy magazine series from Hemlock Publishing. Beams from the Box and more! Perfect bound, full-color glossy magazine. 64 pages. Autumn Winter 2017. Hemlock Publishing. For mature readers. Missed Issue #2? Use the convenient Buy Both button below!